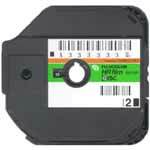 We can develop your C41A (C-41A) color disc (disk) film. We can also make reprints. These films are older. Disc film is not comparable to new store bought Kodak film. Cost for development, CD, and prints is US$36.50 per disc film with return shipping and handling $6.00 per order (not per disc). Therefore, one disc film is $42.50, two discs is $79.00, three discs is $115.50, etc. Free shipping on orders of more than ten rolls. International return, please add US$3 for shipping. This film is processed on a volume basis, so turn around time varies. Please allow between three and twelve months for processing and return. When all pictures have been taken "15X" appears in the window near the center of the 15 exposure disc film. 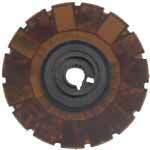 There are eight generations of disc film, indicated by a number from 1-8 in the lower right corner of the disc. The later the generation (higher the number), the better the chances of excellent results. Click here for more information on film storage and expectations. Generation 8 January 1997-January 1998. OTHER BRANDS: Many companies made or re-branded disc film. Film types included: Kodak Kodacolor Gold or Kodacolor VR, Fujicolor HR process CN-16A, Fotomat SR-V disc, Konica SR process CNK-4A, Target Color Print HR, Perry PhotoShop, Finast Made in America by 3M, as well as many other photo labs.